Change your stuttering. – Change your life. 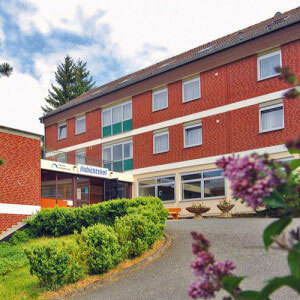 The Kassel Stuttering Therapy (KST) is one of the world´s leading providers in stuttering treatment and the largest institution in Germany. Dr. Alexander Wolff von Gudenberg, medical director and affected himself, founded this intensive care in 1996, which offers people who stutter, aged 6 years or above, the possibility to acquire a high level of speech control. The effectiveness of the KST has been accompanied and evaluated by independent scientists since the beginning. Its successes show that 75 percent of our clients of all ages still benefit 3 years after the end of therapy. About 1% of the world´s population suffers from stuttering. 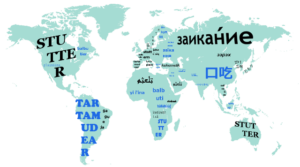 That makes about 72 million people worldwide, living with this speech fluency disorder. Specific information on the causes of stuttering, its symptoms, how to deal with stuttering, the chance of cure as well as further information for affected persons, parents and relatives can be found at the website of “freach”. 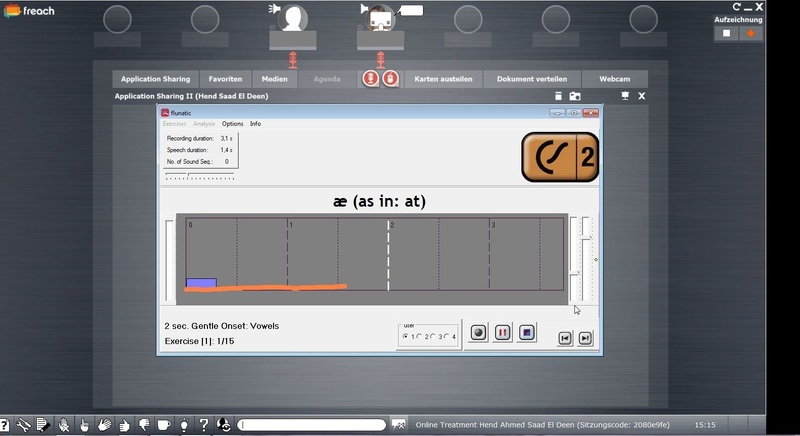 In addition to the classic German variant of the KST – a 14 days in-patient intensive treatment and structured follow-up care over the duration of one year – we are offering a stuttering treatment online since 2014. This first teletherapy in the world was developed by the KST together with the PARLO Institute for Research and Training in Speech Therapy and is awarded with the Healthcare Management Prize 2015. The online treatment runs for a period of one year, consisting of 84 hours which are distributed over 40 sessions. In addition a daily autonomous training of the clients is also an essential part of the therapy. 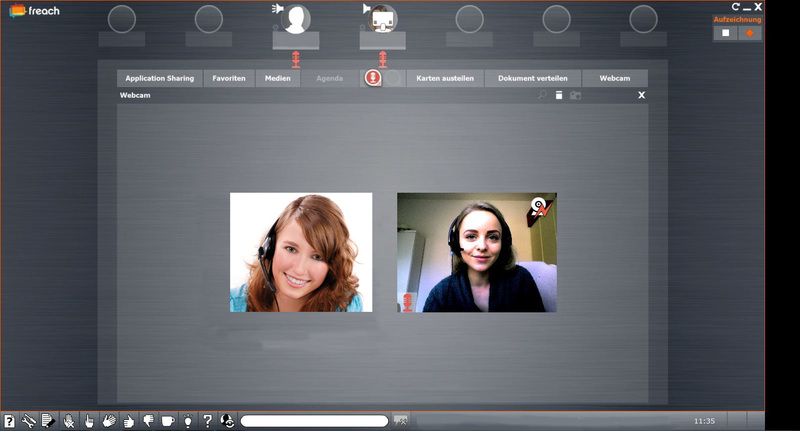 Our clients are treated in intensive online courses in a virtual room called “freach” by specially trained therapists. The concept foresees both individual and group sessions and is aimed at young people and adults aged 9 years or above. Acquisition of a new speech pattern with gentle onsets and bindings to significantly reduce the number of stuttering events and to gain a high level of speech control. > 36 hours in 14 sessions. Consolidation and refinement of the speech technique. First Transfer steps in structured everyday life situations to gradually start using the speech technique in other contexts than the therapy sessions. > 12 hours in 8 sessions. Transfer of the new way of speaking into the daily routine, choosing situations of increasing difficulty such as telephone practises, city transfers, discussions, role plays, presentations. > 16 hours in 8 sessions. Reinforcement, revision and extension according to your personal goals. Evaluation of the current speech level and discussion of future steps and aims for the time after therapy. > 4 hours in 2 sessions. The components of the online therapy are speech exercises, audio and video analysis, everyday live training, computer-assisted speech training and structured follow-up care. Further information on the individual components can be found here. Time effective – No need to travel. No need to take time off school, studies or work. 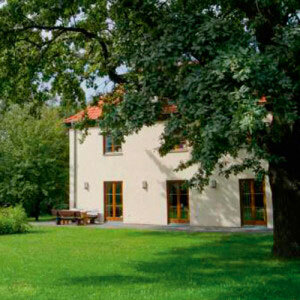 Cost effective – No costs for accommodation and food. 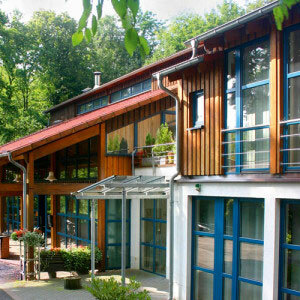 Independent of location – Treatment at client´s home. Regular treatment sessions – Closer monitoring of the client´s progress. Experience has shown that in most cases the clients have to cover the therapy costs themeselves. But it is absolutely recommending to require a reimbursement at the health insurance. Due to individual case decisions it may be possible, but not guaranteed, that they will cover the costs for treating either fully or at least in partially. The total costs of the online therapy vary due to the individual treatment and the different requirements. If you are interested in the stuttering treatment online, please contact us, so we can calculate your therapy costs and discuss and plan the next steps. - We will be pleased to support you! More detailed information on the stuttering treatment online may be found at the website of the PARLO Institute for Research and Training in Speech Therapy or at the website of freach. ...PLEASE GET IN TOUCH WITH US! Ask our therapists about all aspects of stuttering and our therapeutic concept. They will gladly offer their advice!